As most of you know, I am a huge fan of live music and I also love working with people with an entrepreneurial spirit! 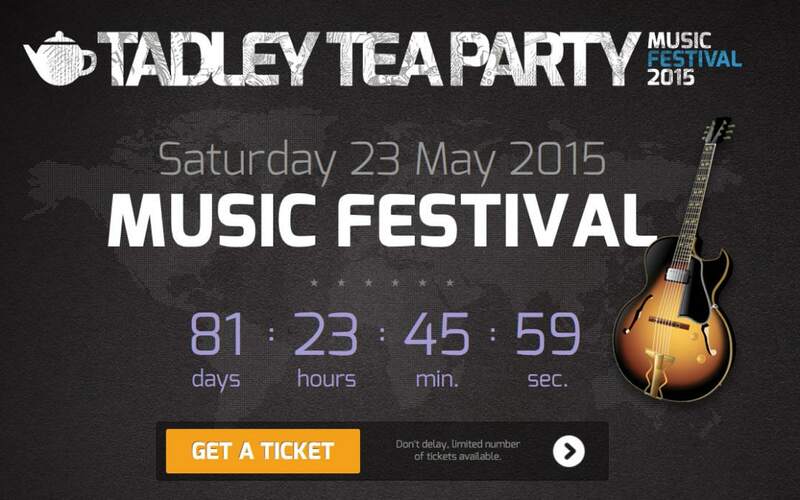 That's why I am pleased to say that I will be supporting this brilliant event, the Tadley Tea Party Music Festival, which takes place in May, the weekend before May Half Term. Concept, the group that were recently on the X factor, and who are local to Tadley, are head-lining. 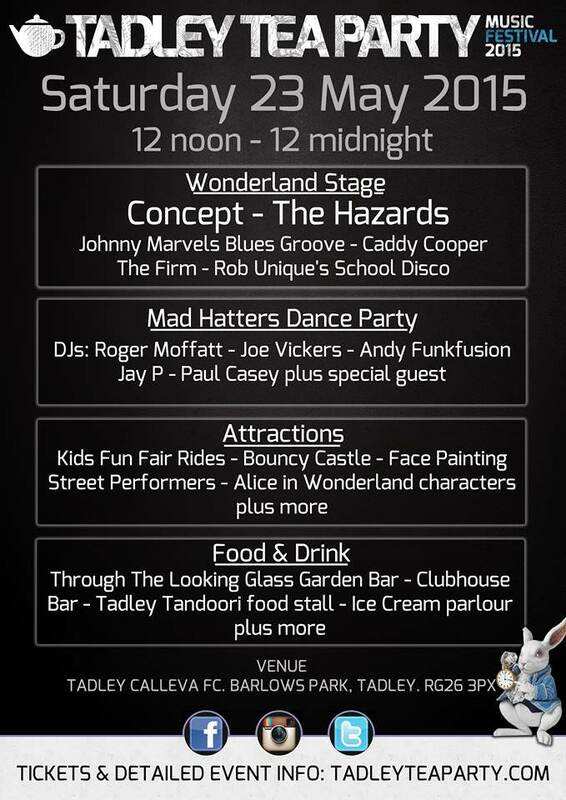 Other groups include the Hazards and The Firm and the Mad Hatters Dance party runs until mid-night.